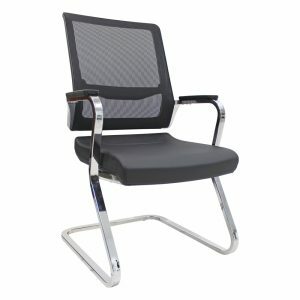 If you are looking for the home and study chair that is stylish, practical and economical, the AirFlow Mesh Back Task Chair is the perfect option. The chair’s contoured back is made from mesh fabric that adapts to your posture, giving you comfortable and sturdy support. The mesh allows the free flow of air to keep you cool. The back tilt and lock feature ensure a wider variety of relaxing positions. The budget friendly task chair makes a great solution for students and home owners. The designers of the Atlantic Mesh Back Executive Chair set out to solve the problem of the lack of physical harmony between people, their health and their technology. Primarily designed for combating back pain and seating discomforts, the contoured chair adjusts to support a full range of seated postures and improves the circulation of blood and oxygen, helping you to stay focused. 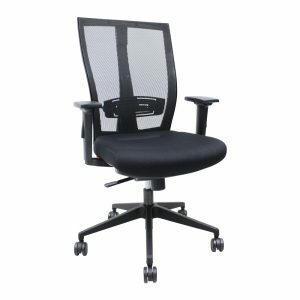 The chair’s mesh fabric back and mesh covered seat allows air to circulate freely, keeping you cool as well as enhancing your executive office experience. Treat your guests to style and comfort with the CanterAir Executive Guest Chair. 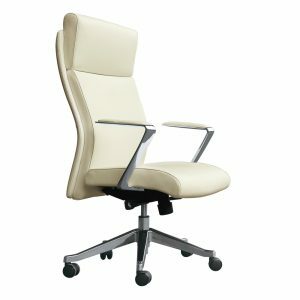 Designed with an adjustable lumbar support, the top-grain leather chair adjusts automatically to the movements of the user, providing support for good posture and total comfort. The elegant and modern design chair features an attractive cantilever base, with breathable mesh back that allows for proper air flow and ventilation. Polyurethane arm pads offer additional support. 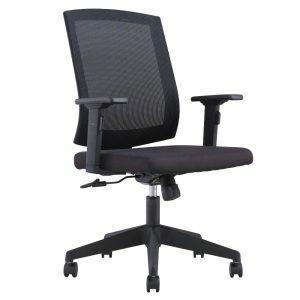 The contoured supportive seat perfectly equips your reception area, conference room or executive office. Versatile, practical and sturdy, the Crown Back Chair is the perfect multi-task seating option for classrooms, group meetings and large social events. The chair features a thick, padded fabric seat and straight back, for maximum seating comfort and support. 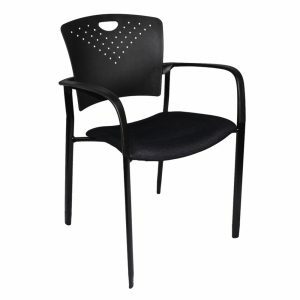 The chair’s metal frame is durable, and allows for easy chair stacking when not in use. The elegant design is suitable for the executive office, church halls and entertainment venues. The elegant Crown Back Chair is a popular option for social events and large gatherings. The versatile, practical and functional mult-task chair has a thick, padded vinyl seat and supportive straight back, and is easy to wipe clean. 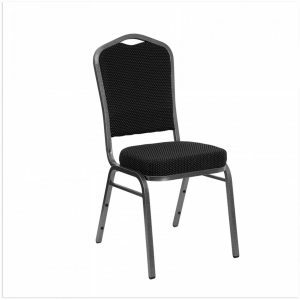 The chair’s durable metal frame allows for convenient and easy stacking, when not in use. Ideal for classrooms, group meetings and large events, the sturdy and understated multi-purpose chair also easily fits into any office environment. The Cruiser Ergonomic Task Chair is the single seating solution that helps a variety of users achieve optimal comfort. 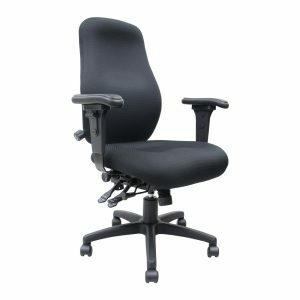 The contoured swivel chair boasts an easy to operate height, arm and back adjuster for flexible positioning, and adjustable tilt tension. The back features in-built lumbar support to help you maintain good posture during long periods of sitting. Memory foam filled, mesh covered breathable fabric molds to your body so that you can enjoy ultimate comfort and support every time you sit down. 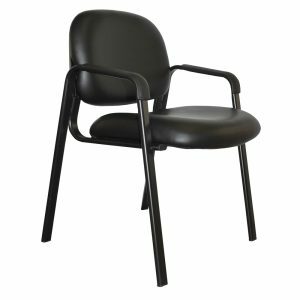 The task chair is ideal for prolonged and sustained use, and is particularly suitable for use in warehouses, factories and other industrial environments. 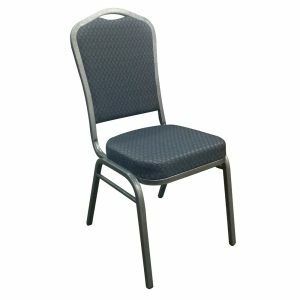 Comfortably accommodate your guests with the versatile and practical DuraRest Fabric Guest Chair. 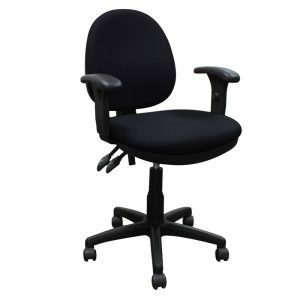 Designed by ERGO, the stylish low back office chair is equipped with curved molded arms, contoured seat and back, and sturdy splayed legs. The understated modern design is perfect for waiting areas, reception spaces and other social venues. The DuraRest PU Leather Guest Chair welcomes your guests in style. The practical and functional multi-use guest chair is designed by ERGO and features a timeless design that is perfect for use in reception and waiting areas. The elegant low back chair is equipped with molded arms, and boasts contoured back and seat for maximum comfort, and sturdy splayed legs. The chair’s PU leather fabric makes it easy to wipe clean, and suitable for use in areas of high guest volume. 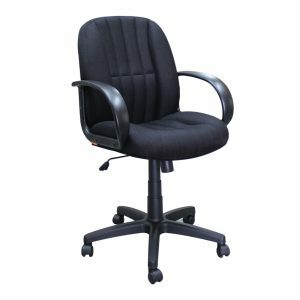 The EcoRise Task Chair has remained one of the best selling tasks chair in our market, for the past 10 years, The comfortable memory foam padded chair features in-built lumbar support, adjustable arms, back tilt mechanism and adjustable height options. The economical design offers practical and efficient seating that is suitable for IT labs, schools, offices and home use. The stylish and simplistic design guarantees an enjoyable seating experience. 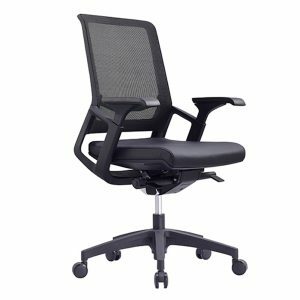 If you want to maintain good health and correct posture support, the Enduro High-Back Ergonomic Task Chair is the perfect choice for you and your team. The thick molded foam and adjustable lumbar support ensures that comfort is always applied along your lower spine. The chair’s fully adjustable mechanisms include back lift, seat slide and multi-function arm rests, to guarantee improved body alignment no matter how long you are sitting. The stylish and modern design is a specially manufactured to perform under extreme pressure and keep you safely seated for a lifetime. The Task Chair Gas Lift is designed for flexible height adjustment. 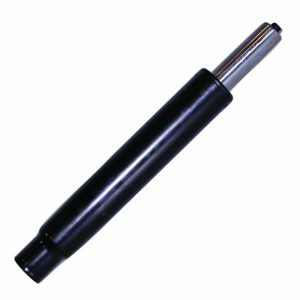 The longer length gas lift is compatible with most standard office chairs, and allows the chair user to have a wider range of seat heights. The chair lift is ideal for draughtsman, cashiers and anyone who works seated at a high desk The gas lift extends from 16” to 27”. The lift complements our Task Chair Foot Ring. Upgrade your seating experience with the Mediterranean Executive Leather Chair. The elegant and stylish top-grain leather chair is contoured to provide enhanced lumbar support and better leg circulation. You no longer have to feel uncomfortable during long meetings, as the adjustable chair offers flexible height and tilt adjustments, and 360° swivel movement. The curvaceous waterfall design chair is perfect for executive offices and conference rooms. When you are seated in the boardroom, the Mediterranean Executive Conference Leather Chair offers the seating comfort and support that you need to boost your brain power and productivity. The luxury leather mid-back chair is equipped with a top of the line synchronization tilt mechanism and height adjustments. Whilst you are sitting in long meetings, the chair offers lumbar support and improved leg circulation, for your ultimate comfort. The versatile and stylish design is ideal for the executive office and for conference room use. Thickly padded to ensure optimal comfort, the Porto Mid Back Conference Room Chair is the ideal economic option for your office environment. The stylish modern design features contoured and padded foam back and seat with fabric covering, curved fixed arms, and a host of tilt and height adjustable options. 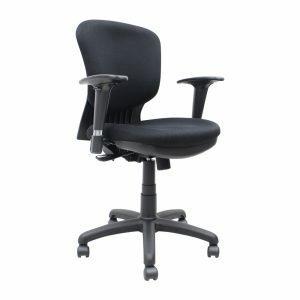 The swivel chair easily adjusts to accommodate your body’s contours. The practical and functional fabric covered chair is suitable for home office spaces and general workplaces. 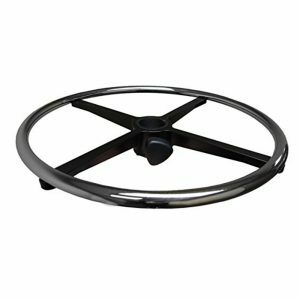 The Task Chair Foot Ring provides additional height for the feet to rest upon whilst sitting on a high chair. The foot height adjuster allows your feet space for movement and position variation. The compact Task Chair Foot Ring is can easily be attached to, and removed from, the chair. The ring complements our Task Chair Gas Lift, and is perfect for use with the EcoRise Cashier Task Chair. Make a statement in your office with a chair that is a perfect balance of strength, support and design perfection. A good chair, with good quality, high technology and luxury, is an essential item in modern office spaces. The luxury Italian Titan High Back Leather Executive Chair boasts a range of features ranging from height and arm rest adjustments to variable seat gliding positions and synchro-tilt locking options and tensions. The elegant and practical Titan chair easily meets the three requirements of the top-level leaders in the work place – comfort, ergonomics and aesthetics. Designed to meet the three major requirements of top-level leaders in the workplace, The Titan Mid Back Leather Executive Chair takes care of comfort, ergonomics and aesthetics. The stylish top-grain Italian leather chair is an essential item in modern office spaces. The chair features height and arm rest adjustments, various seat gliding positions and synchro-tilt locking options and tensions. 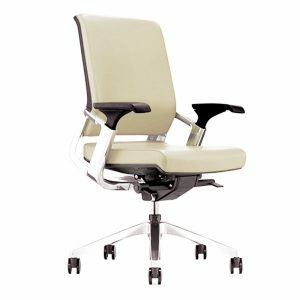 The sleek executive chair provides comfortable seating with in-built lumbar support, to help you maintain good posture during prolonged periods of sitting. Make a statement in your office with the practical and stylish Titan Mid Mesh Back Leather Executive Chair. 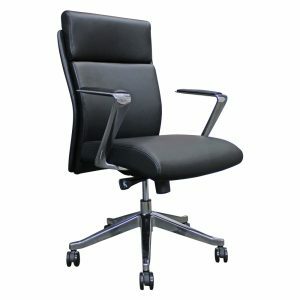 The top-grain Italian leather chair combines high technology and luxury, and offers the essential seating solution for modern office spaces, The contoured mid back chair features lumber support, height and arm rest adjustments, variable seat gliding options and synchro-tilt locking positions and tensions. 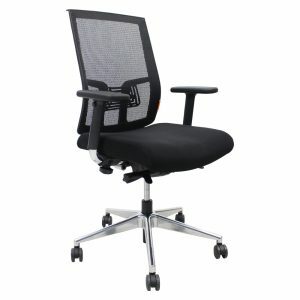 The chair’s optimal comfort, ergonomics and aesthetics undoubtedly meet the three requirements of the top-level leaders in the work place. 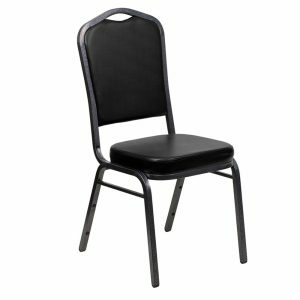 The stylish Zapp Guest Chair is an agile chair that offers comfortable and supportive seating for a variety of venues and events. 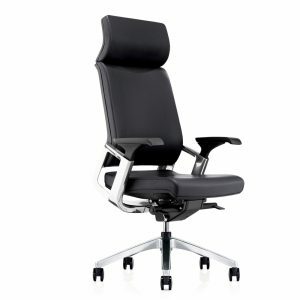 The sleek design features a fan shaped back that is easy on the eye and comfortable for extended periods of sitting. 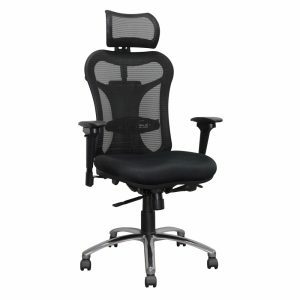 The contoured back curve provides lumbar support to complement the comfort of the padded foam seat. 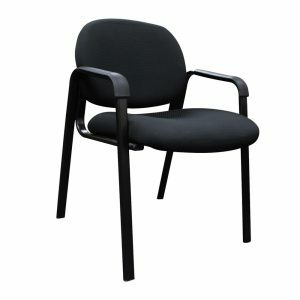 The elegant modern guest chair is ideal for use in collaborative spaces, reception areas, conference rooms and training areas.